So tell me what do you think of the release so far? I have added ALL of August's stamps to my wishlist!!! Today is the last preview and it's a great one as well. LOVE these new silhouette images. My hubby and boys love to fish!! As a matter fact hubby, grandpa and great-grandpa go on a yearly fishing trip up North. The stories these boys come back with, LOL! Can't wait for our boys to join that tradition. I embossed my image and colored with watercolor markers. You know what I especially love about this new set? The fact that you can personalize for whom that card is for. Here is a sneak peek of the stamp being released today. 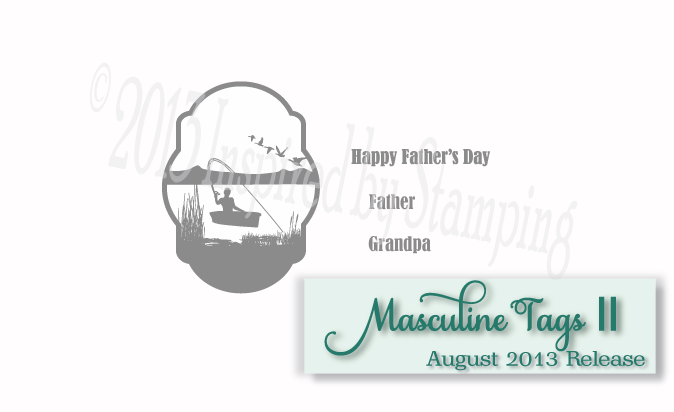 Masculine Tags II, 4×8 stamp set, contains 3 masculine silhouette featuring nature scenes and 11 sentiments. Each tag coordinates with both of our Fancy Label Dies! Stuff to know before you go:Free Shipping on all order over $25 for 48hrs after the full reveal on August 10th.Coupon Code: AUGFREE All stamp sets will be offered as a bundle at a 10% discount.August 11th the new color challenge hop will start.August 12th will feature the next blog hop which the theme is Masculine Cards. Oh WOW - Calypso, this card is stunning! LOVE the colored image, and the layout is fantastic as are the super cool D-ring/twine embellies! Fantastic job GF! Beautiful! Your coloring and especially the treatment to the sun is amazing! Such a lovely scene card!! Such a gorgeous card Calypso! 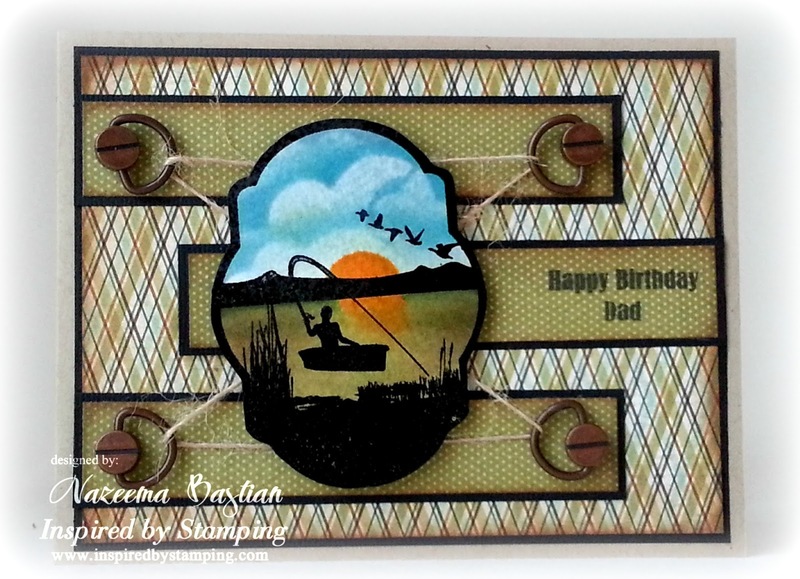 Fun masculine card design, I love it! Lovely coloring of the image!! Wow!!! Love how you colored in the stamp, fantastic job there!!! Great card any guy would love receiving! Omg, what a great job coloring the scene!